SCVHistory.com LW3154 | Film-Arts | Gene Autry Stars in 'Tumbling Tumbleweeds,' Republic 1935. 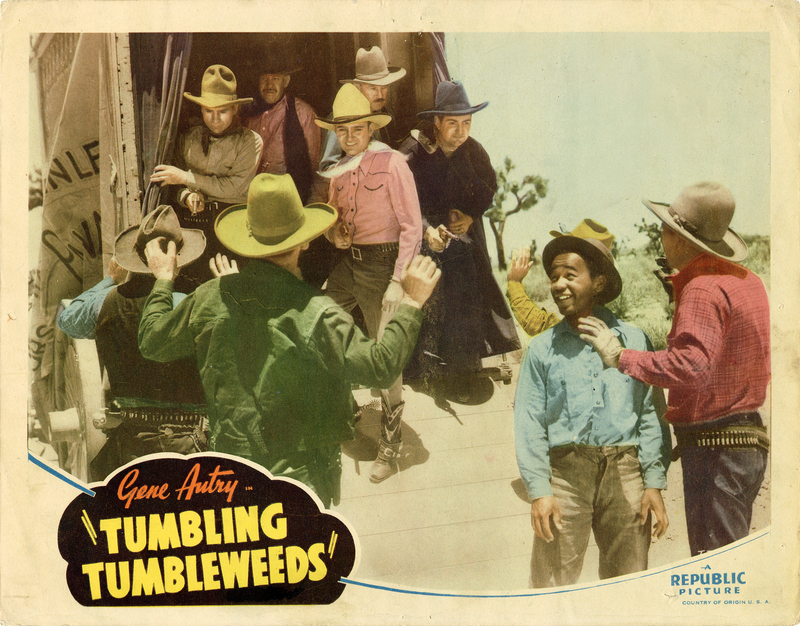 Gene Autry stars in the 1935 Republic picture, "Tumbling Tumbleweeds." Principal shooting was at Trem Carr's movie ranch in Placerita Canyon (later site of Disney's Golden Oak Ranch), although this scene appears to have been shot in the high desert, probably around Victorville. LW3154: 9600 dpi jpeg from original lobby card purchased 2017 by Leon Worden.